HSBC Emerging Markets Index, a monthly indicator derived from PMI surveys, stood at 51.7 in July. Manufacturing and services sectors in India expanded at a faster pace than China in July, even as emerging market output registered a slower pace of growth, HSBC said today. The HSBC Emerging Markets Index (EMI), a monthly indicator derived from Purchasing Managers’ Index surveys, stood at 51.7 in July, down from 52.3 in June, indicating slower output growth across global emerging markets. “Emerging market economic growth remains disappointingly feeble, especially when compared to the impressive upturn currently being seen in the developed world,” Markit Chief Economist Chris Williamson said. The pace of economic growth in the developed world accelerated in July to its fastest since May 2007. 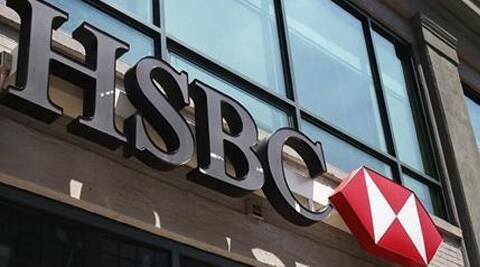 During July, the HSBC composite index for India, which maps both manufacturing and services, stood at 53.0, whereas for China it was 51.6, Brazil (49.3) and Russia (51.3). An index measure of above 50 indicates expansion. Going forward, the pace of growth in emerging market economies is likely to remain week, the report added. “With global uncertainty and risk aversion being heightened by the Argentine default, the fighting in Gaza and worries about the possibility of an escalating situation in Ukraine, emerging market economic growth looks more likely to deteriorate than improve in coming months,” Williamson said. The outlook for global emerging markets weakened in July, and the HSBC Emerging Markets Future Output Index, which tracks firm’s expectations for activity in the next 12 months time, witnessed a significant fall. Of the four largest emerging economies, Brazil posted the strongest output expectations in July, followed by India. The weaker output growth in emerging markets during July was mainly on account of a slowdown in the services sector, as growth in manufacturing space rose at the fastest pace since March 2013. Inflationary pressures remained subdued in July, HSBC said, adding that goods producers in Russia, Vietnam and India faced the steepest increases in input prices in July.